Boy, do I hear some crazy things about myself! I don’t consider myself important, and I prefer not to talk about myself. I find it very strange when others think I’m worthy of their time and attention spent in conjecture or sharing rumors. I would much rather talk about the gospel, but I feel concerned that some of the rumors might dissuade people from reading this blog or considering their role in the ongoing gospel restoration. I don’t want friends, neighbors, or even strangers to avoid gospel truth due to falsehoods they’ve heard about me, so it appears I must correct some myths. Therefore, we interrupt our regularly scheduled programming, to set the record straight on a few rumors and set forth the truth about them. Personally, I find these rumors both unfortunate and laughable. This rumor could have only come from church leaders; nobody else from our ward or stake knew about our situation, or our excommunication. One man told me a stake leader told him directly that we had “left.” This man refused, at first, to believe we had been excommunicated. When I assured him it was true, he wondered aloud why the church leader had misled him. 2. I started my own church. This one made the rounds far and wide for quite a while, even among my children’s friends, who confronted them at school with “I heard your dad started his own church!” This one also seems to have originated with church leadership, as it appeared the very week of our excommunication, before anyone besides church leaders knew anything about our situation. Behold, this is my doctrine—whosoever repenteth and cometh unto me, the same is my church. Whosoever declareth more or less than this, the same is not of me, but is against me; therefore he is not of my church. Why do the watchmen NOT raise the warning? Why do they tell us all is well? Why do they point to their life experience and reliance upon trained scholars, rather than their connection to heaven and understanding of scripture? Why do they tell us to keep our eyes on them, rather than on the Lord who can save us? Why do they insist we stay in the boat they blindly steer toward the rocks? And why, oh why, must a nobody like me raise the warning? Are we really that blind? With the scriptures before us and the signs above us, why is the truth not in us? How have we so utterly failed to recognize our predicament? Why have we trusted the arm of flesh? It breaks my heart—truly—to consider how many still trust their lives to ignorant, sleeping watchmen, rather than awakening and arising themselves. The flood is already upon us, the tempest is raging, and we perish. 5. I’m a polygamist. Oh my! Nobody was more shocked than me to hear this one. The rumor seems to have started when our family took in a homeless, single mother and let her live in our guest room until her situation improved. I reject the notion and practice of polygamy, and I believe Joseph Smith did as well—as I’ve written repeatedly. 6. I’ve taken the office of bishop, and made my wife my first counselor. Are you kidding me? This one really makes me scratch my head. I have no title, office, or position, nor do I want one. The same goes for my wife. In our fellowship, I preside over nothing, and govern nobody. It appears someone within the remnant movement started this rumor, and it keeps surfacing. It’s utterly false, and yet some who should know better have both believed it, and perpetuated this gossip without bothering to find out if it’s true. Now, I don’t mind people saying stupid stuff about me—but really, with the work ahead of us, I’m baffled that anyone has time to waste on such an unimportant topic as myself, particularly when the truth is so easily obtained. Spreading this sort of nonsense is a waste of time and shows intentional disregard for truth. Now, having dealt with the embarrassment of talking about myself, I’d like to move on to something important. I ran into a member of my former LDS ward, and he asked me what we do for worship and fellowship since we “left the church.” As usual, he had heard the rumors, but he asked the question in sincerity because he has doubts about the LDS church and leadership, and genuinely wants to know how it’s possible to honor Joseph Smith’s restoration and worship our Lord outside the LDS church. We gather on Sundays with like-minded friends in rather informal meetings as a fellowship of equals. I use “fellowship” here according to the common definition of “a friendly association of people who share the same interest.” These gatherings take place in homes, or at parks if the weather is nice. We sing, pray, discuss the gospel, and take the sacrament according to the pattern of scripture. We try to let the spirit guide us whether to preach, exhort, supplicate, sing, pray, or bless. (Moroni 6:9). We gather our tithes as a group, and use them to bless the poor among us. We have no hierarchy, titles, positions, or leaders. Everything is voluntary and rotating in our fellowship, including who conducts the meetings, teaches, prays, blesses, or brings bread or wine for sacrament. All are welcome to speak, and there are no prepared talks. For that matter, there’s also no dress code. Women are equal with men in all things, the only exception being the ordinances of baptism and sacrament, which are only performed by men. We often gather at other times to study scripture together or to discuss important issues pertaining to our fellowship and the Lord’s work in the last days. We also enjoy social activities and meals together from time to time. Above all, we are devoted to Jesus Christ, and attempt to learn and do His will for us. We recognize the mission of the prophet Joseph Smith, and we do all we can to preserve and honor all the truth the Lord gave through him. We are by no means perfect, and we make all sorts of mistakes. But through it all we attempt to love and forgive one another, learn and grow together, and make Christ our center, both individually and as a group. If any of this sounds interesting, and you’re in the Boise area, please feel free to contact me through the contact form on this blog. You are welcome to worship with us. So you and Tausha haven't had a terrible falling out and gotten divorced since you "left the church", and you're not fighting for custody of your children? Oh man, how disappointing! Hearing rumors about you and our fellowship has become an entertaining pastime, to say the least. I had no idea you could be a divorced polygamist prophet of the world AND bishop of your own non-existent church, all at the same time. Better yet, that our whole fellowship is foolish enough to follow your polygamous prophetness and succcumb to your dominion and control over us and our families is beyond laughable! For crying out loud, people. Last I checked we are all damned until we know the Lord. So why not focus on HIM and help buoy each other up, rather than tear down those who have enough courage to actually put their name, their family, their pride and beliefs on the line (and online) for all the world to see and judge? 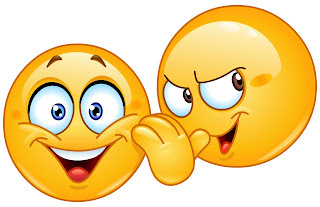 Those who perpetuate such rumors likely haven't made the personal sacrifices you have made for the cause of truth. We would all do well to reflect inward and repent of ill feelings or misjudgements toward one another. They only tear us down. Thank you, Adrian, for your courage to stick your neck out there to try to help the rest of us come to know the Lord. I'm so sorry you've been so badly misjudged for it. Our family is forever grateful for your sacrifice to help us wake up and seek to know the Lord. May God continue to bless you and your family in your righteous endeavors, and continue to gather His sheep. Ha! Hadn't heard I was getting divorced. I'll add that one to the pile. Wow Adrian! Thanks for clarifying some things. I had no idea that those rumors were even out there about you & your family. I want to say "Amen" to the last half of your post. It's great to hear how other fellowships worship, sounds very similar to the fellowship I am a part of. I love the freedom to speak, preach, expound and exhort according to how the Holy Spirit directs. 1 Thes. 5:19 Quench not the Spirit. There are no correlated meetings and manuals and no two fellowships are exactly alike. Isn't it just wonderful? And to be able to freely help those who truly need it. All things done by common consent. 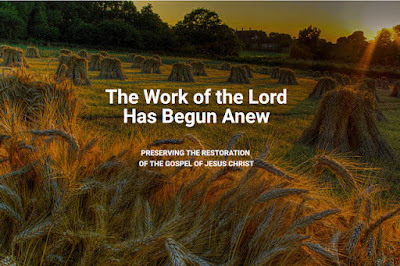 Let us "Preserve the Restoration" as it began with Joseph Smith, Jr. God's work will roll forth. I implore all to seek the Lord earnestly and do His will. Praise be to God! "Behold I say unto you, do ye suppose that ye cannot worship God save it be in your synagogues only? And moreover, I would ask, do ye suppose that ye must not worship God only once in a week? Isn't it important to keep the Sabbath day holy? And go to Church? I won't say that those are not important (I'm still an active member of an LDS congregation), but Alma suggests that there are many ways to worship God, and those ways are not exclusively within a chapel, church or synagogue. Maybe one reason we are supposed to let others "worship how, where, and what they may," is that others have things to teach us about worshiping God. Ok, someone really needs to make a MEME showing Ballard asking "where will you go" and Alma answering "Behold I say unto you, do ye suppose that ye cannot worship God save it be in your synagogues only? And moreover, I would ask, do ye suppose that ye must not worship God only once in a week? I say unto you, it is well that ye are cast out of your synagogues that ye may be humble and that ye may learn wisdom; for it is necessary that ye should learn wisdom..."
"Isn't it important to keep the Sabbath day holy?" I go to church every week as required by the temple recommend interview. Interesting to note that in the Book of Mormon keeping the Sabbath is not mentioned by Jesus or by anyone else after he came. Jesus instead tells the believers to meet together oft. Fourth Nephi specifically says they no longer kept the performances of the Law of Moses (one of which was Sabbath observance) but instead kept the commandment of Jesus and met together oft to fast and pray. Moroni also says this was how they worshiped. I suppose we would be under condemnation if we should do according to that which is written contrary to what we are told.